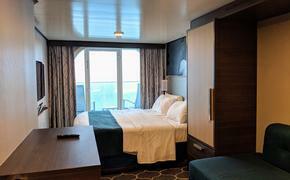 Celebrity Cruises’ new Celebrity Silhouette, the fourth in Celebrity’s five-ship Solstice Class fleet, has emerged from Meyer Werft shipyard in Papenburg, Germany. The ship sets sail in July with industry-first venues and experiences within The Lawn Club, including the interactive Lawn Club Grill, where guests can select and grill their own meats alongside Celebrity’s chefs or have them cooked to order; The Alcoves, private, Wi-Fi-equipped cabanas; The Porch, a casual dining spot offering sandwiches, coffee and views of the sea and the ship’s lush lawn; The Art Studio, where passengers can create their own works of art; and The Hideaway, an intimate, quiet space reminiscent of a childhood tree house. For more information, call 800-437-3111 or visit www.celebritycruises.com.